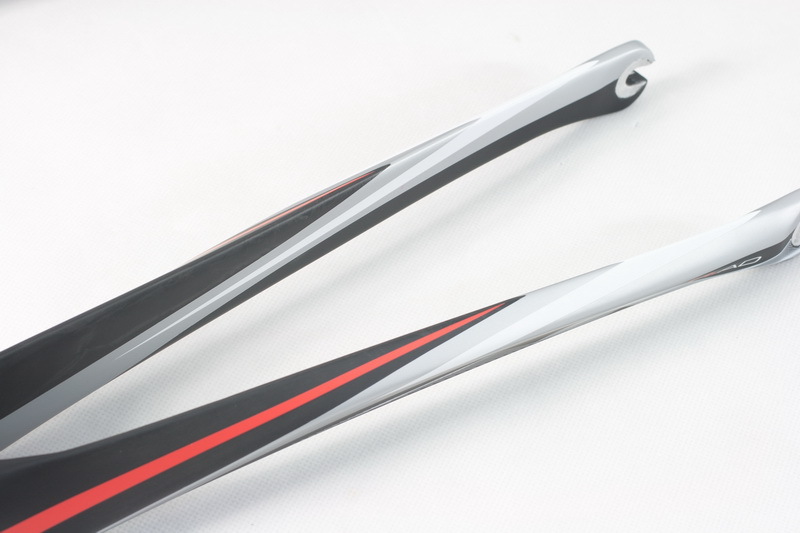 New top of the range SuperKing framesets available now in matt black as EPS only or in white as a mechanical frame. 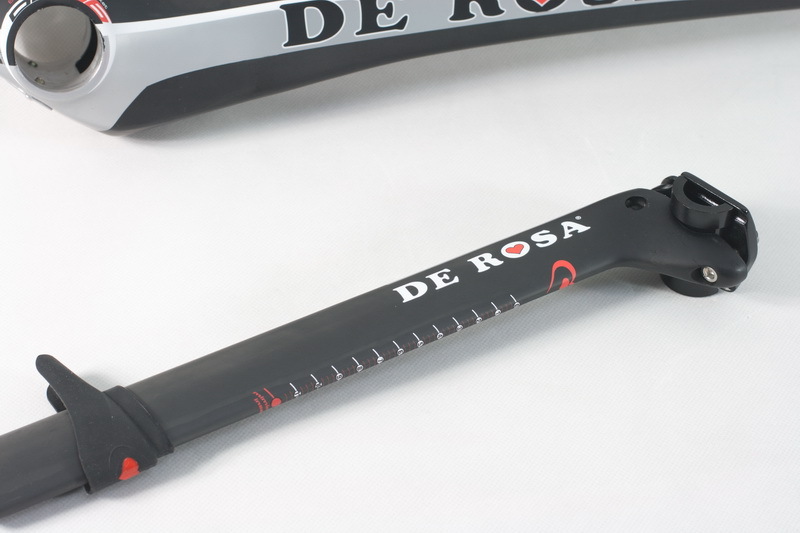 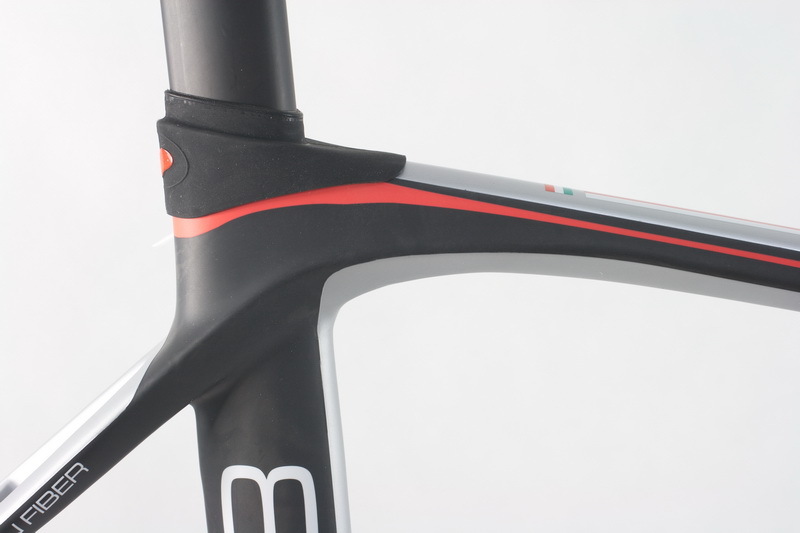 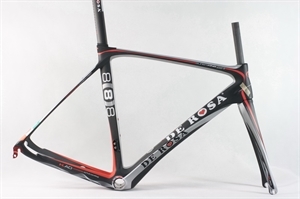 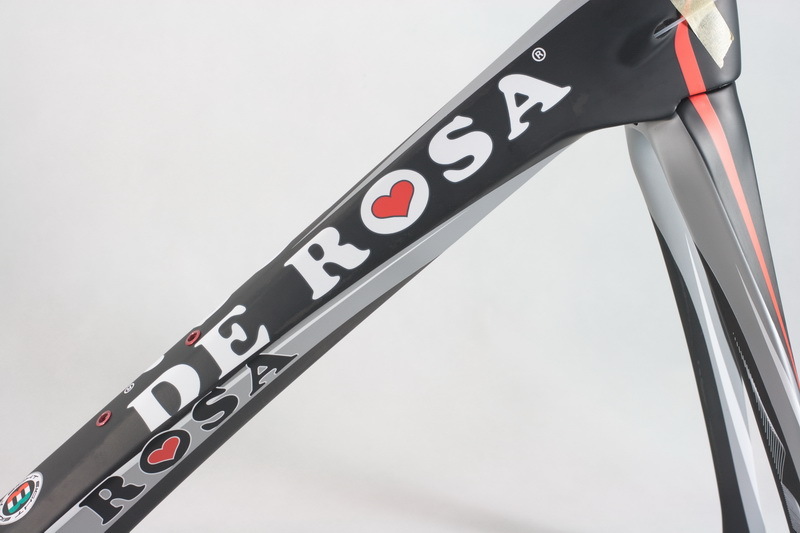 The EPS Only SuperKing is the result of collaboration between De Rosa designers and engineers from Campagnolo. 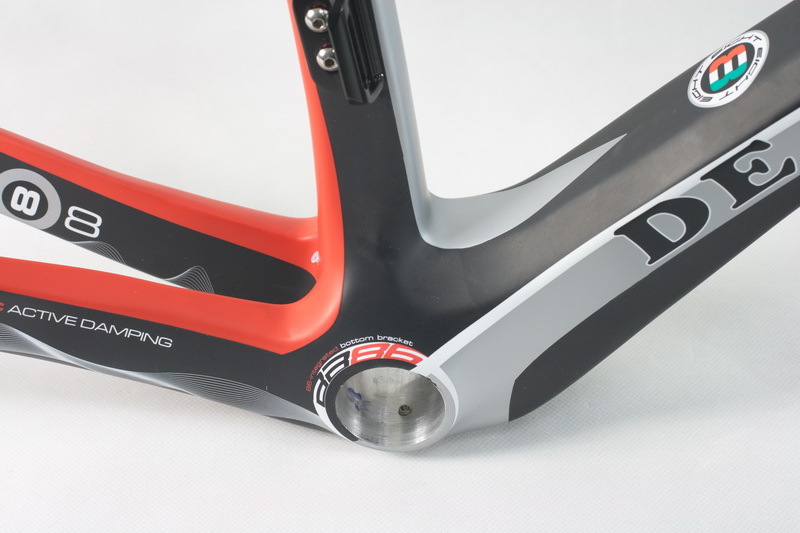 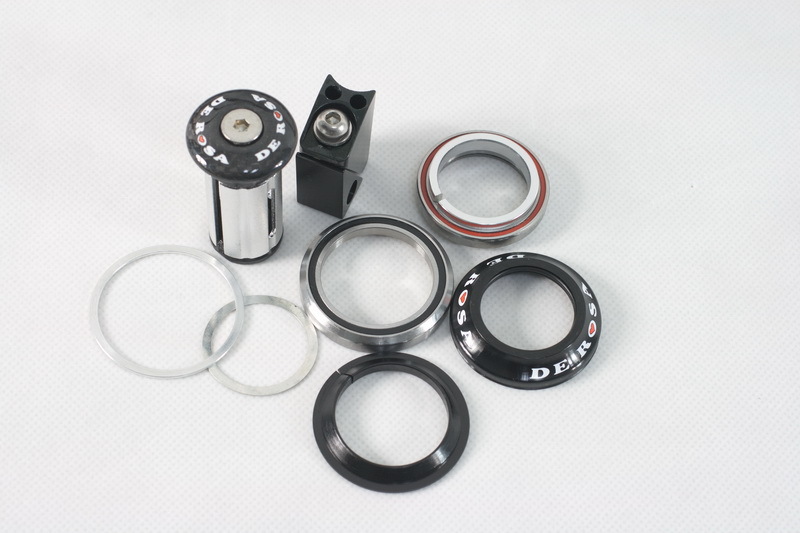 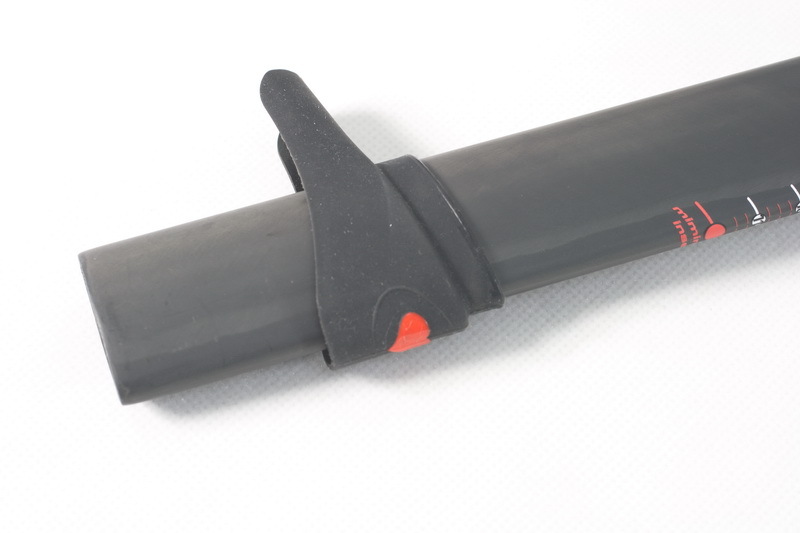 This union has made the first frame in the world devoted to Campagnolo EPS with the battery being completely hidden inside the frame and rechargeable via a “plug” into the frame itself. 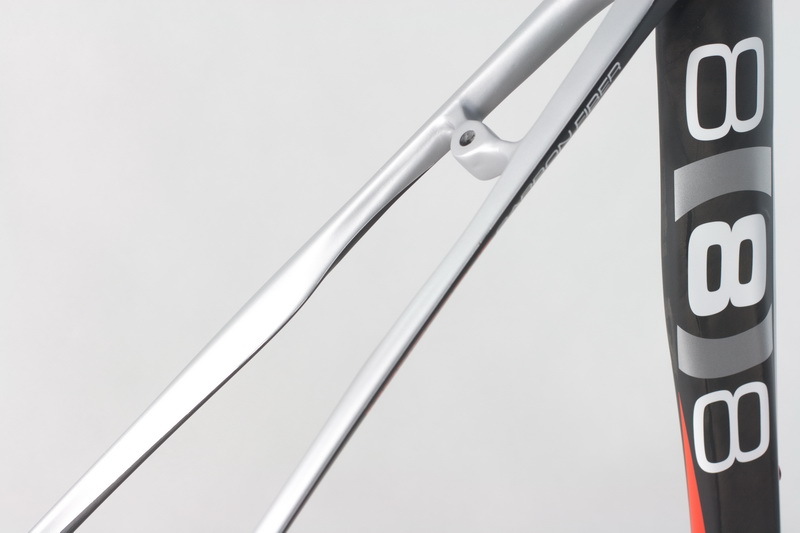 The white model is devoted to everyone who chooses to stick with mechanical. 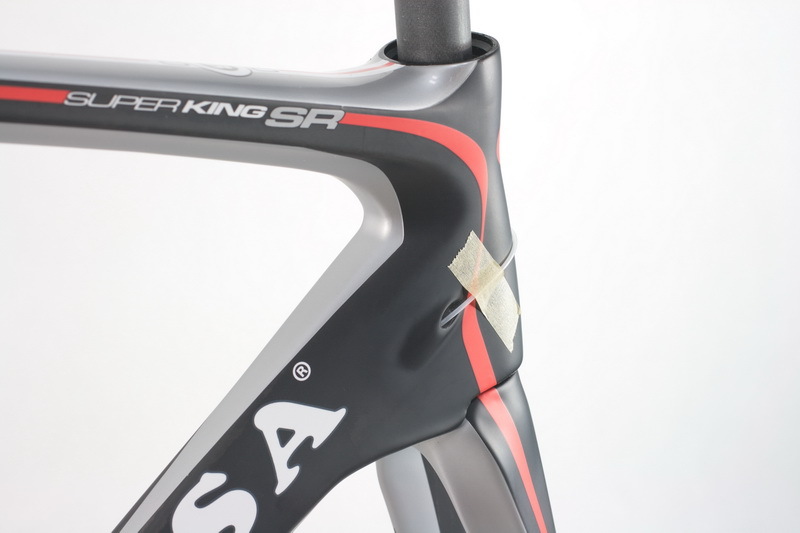 The 888 SuperKing is characterized by a blend of 3 different types of composite fibres MR-60 (295 GPA/5800MPA) HR-40 (390GPA/4610MPA) and NGF's 630GPA in addition to structural reinforcements at the points of greatest stress using high modulus fibres. 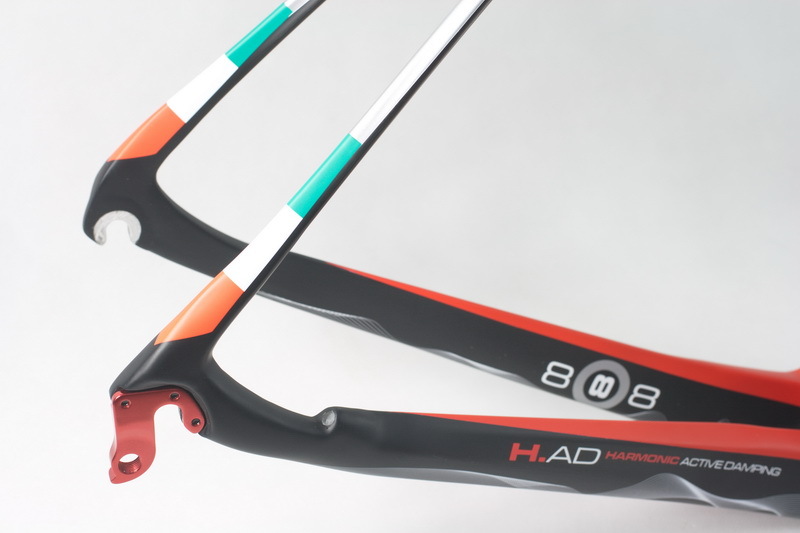 The structure of the frame is certainly refined and advanced intended to provide a low overall weight & high rigidity but with a better absorption of vibrations. 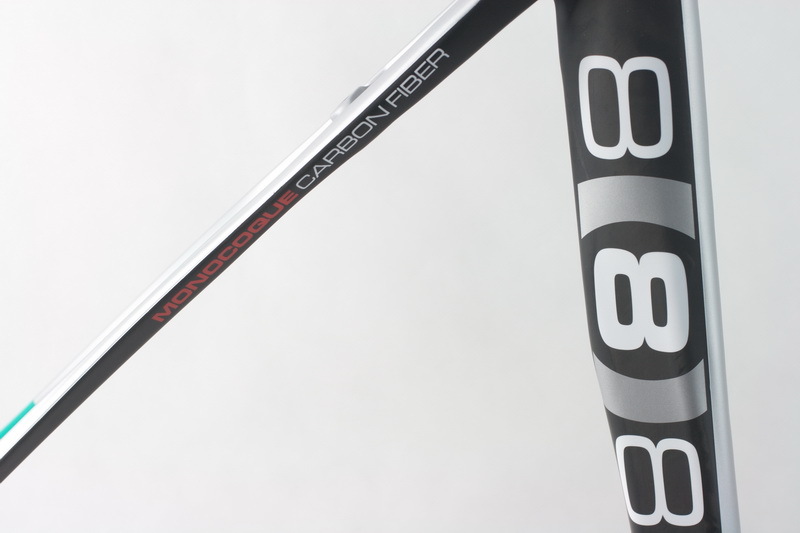 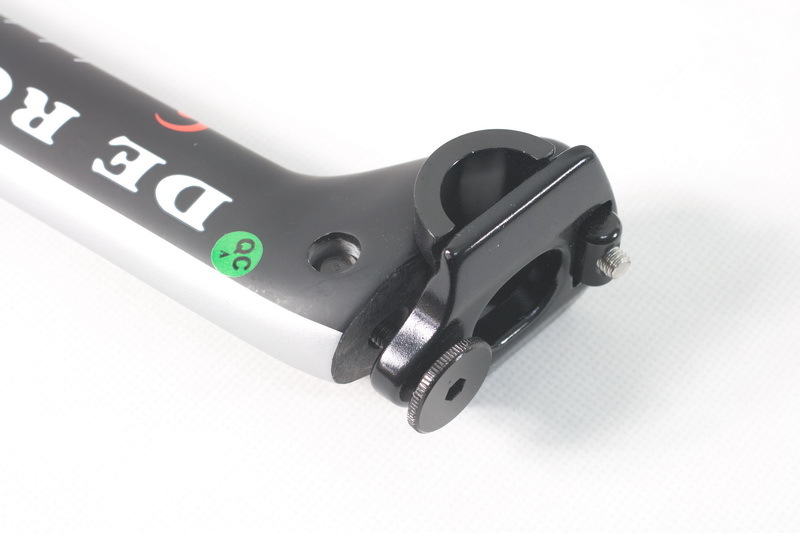 The 888 series is the world's first SuperKing characterized by the vibration damping unique and harmonious distributed uniformly through the structure of the rear seat tube and forks. 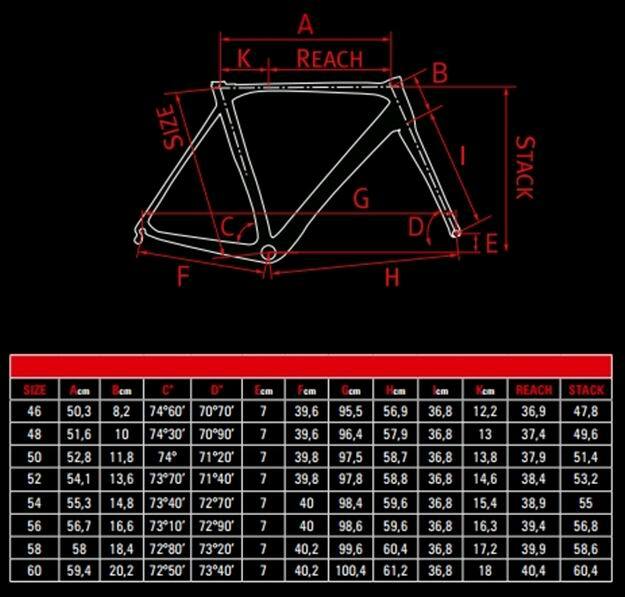 Regular geometry and in 8 sizes.